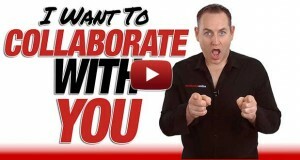 After I revealed the recent branding video clip that you can now have on the front of your videos, YouTube are updating the Annotations you can have on your videos. We got the ability to have external links in our Annotations last year. Now YouTube are going one step further by giving us graphics, headlines, body text and even a button with their new Annotations coming out, called Interactivity Buttons. Now, this is a working title, so it may be something else when it comes to be released to all of us on our Channels. The problem with Annotations is that they don't work on mobile devices. And with the growing numbers of viewers using their phones and tablets, having Annotations on mobile apps is a biggie. At first glance, these Interactivity Cards are very very cool. You have an image, you have a headline, text and a call to action button. 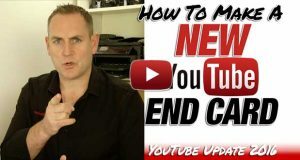 For business owners, this is a giant step forward, as it opens up the possibility to get more and more people to your website from YouTube. This move by YouTube is to entice big business to create more content and to spend more and more money on YouTube. When they create more content, they get more visitors which will make them money. When they spend more money, they make more money. At the end of the day, it will help us to sell our products and services on YouTube and we'll also want to create more content for YouTube and also spend more money with them. If we're getting a good Return on Investment, hell yeah! So check out the video below to see what's the new Interactivity Card looks like and start thinking of ways how you can implement this in your business once it becomes available to all of us. Let me know what you think of the recent updates and how you can put them to use in your business. 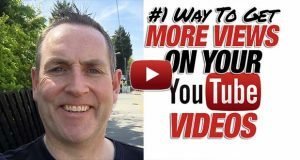 David Walsh is a YouTube Specialist and a Membership Expert. David has been working online since 1996 - when the internet dinosaurs roamed the earth. David's passion is to help entrepreneurs and business owner generate valuable customers through the power of video and direct marketing into high value products and programs. I think what you’re asking for is a bit beyond what they are intending to do. To be honest, I don’t see the need for the features you want. Why would you play a video inside a video? Just have a link to the video you want them to go to. For the questionnaire, again, send them your site with that on it. This isn’t what YouTube is about really. What teleprompter setup do you use? I actually don’t use a teleprompter. Some times I script out my videos, other times I go with the content in my head. Don’t worry Bob, it’s not available to the public just yet. It’s only on a select few. I am new to YouTube, I have a E commerce business since 1998 and have decided to add some videos to help my users. I placed a video here, http://www.biblebible.com/type-of-reading/ once the video stops playing, there are random YouTube videos that appear for the viewer to see next. From what I understand, I can create a play list on YouTube then somehow code the player URL I have embedded on my web page to show the play list I have created. Do you know what the code is that I need to add the the YouTube video link? Can you give me an example of the code? Great question… and one I don’t have a video to. I’ll create a video for you to make it a lot easier to explain. Look out for it soon. If you would email me once you add the video, that would be wonderful.